An Art Book with a selection of concept and in-game art, including never before seen sketches for characters that didn't make the cut! Both the Soundtrack and the Art Book will be available as separate packages or as part of the new Renowned Explorers: Definitive Edition bundle. 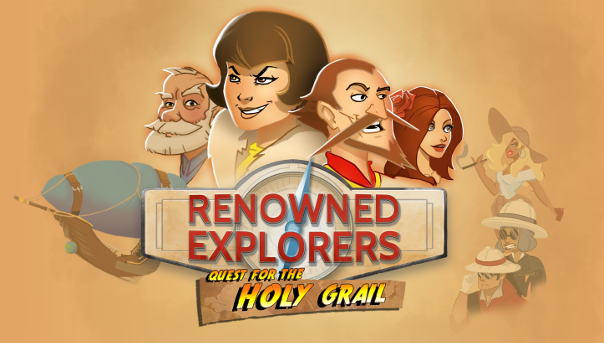 To celebrate the last expansion for Renowned Explorers, we are launching a new bundle that collects everything Renowed Explorers in a complete bundle with a big discount. If you are still missing one or more of the expansions, or just need the Soundtrack and Art Book, this one's for you! In the meantime, we are still hard at work at our new god game, Godhood. Always wanted to create your own religion and dictate your values and beliefs to your followers? You can sign up for the alpha here! See you all on December 13th! Did you remember to post it here yourself or were you reminded by Zale? That's what I get for insisting to write the whole damn thing an hour before diner Thanks @Zale!